CALLING ALL OGRES! 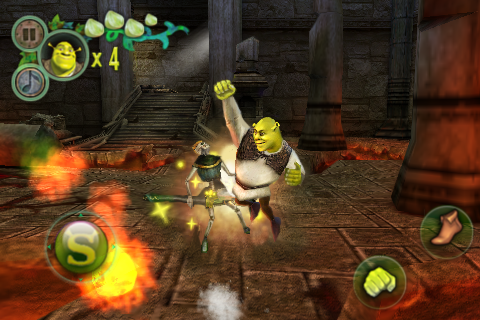 The official game of DreamWorks Animations’ Shrek Forever After™! 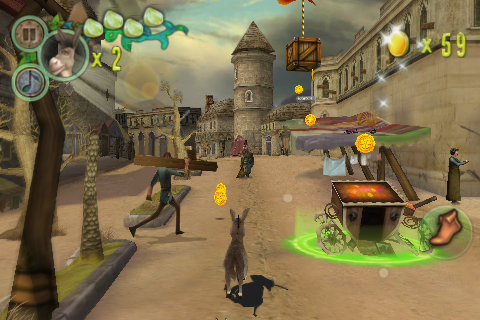 Be a “Real Ogre” as you explore, fight, scare, race and fly through 11 visually-stunning 3-D levels as Shrek, Donkey and Puss In Boots! It’s an epic tale of Love, War, & Sketchy Contracts! Longing for the days when he felt like a “real ogre,” Shrek is duped into signing a pact with the smooth-talking dealmaker, Rumplestiltskin. He finds himself in a twisted, alternate version of Far Far Away, where ogres are hunted, Rumplestiltskin is king and Shrek and Fiona have never met. Help Shrek undo all he’s done in the hopes of saving his friends, restoring his world and reclaiming his True Love! 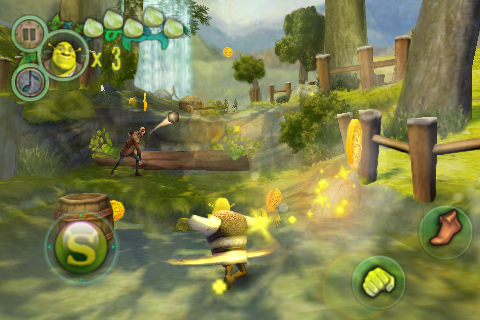 • SEEMINGLY ENDLESS GAMEPLAY VARIETY! 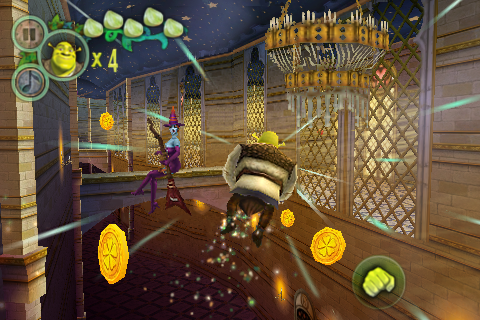 Jump, slide, battle, race, fly, scare people, bounce, climb, swing… When it comes to Shrek, more is more! • 11 LEVELS OF OGRE-THE-TOP ACTION! Explore stunning, authentic 3-D environments straight from the film’s storyline and the dark alternate world of Rumpel’s Far Far Away. • 3 PLAYABLE CHARACTERS! Save the day as Shrek, Donkey and Puss In Boots! • HUNDREDS OF LINES OF CHARACTER AUDIO! Howl at distinctive Shrek humor from the mouths of the characters themselves. • OLD FRIENDS & NEW ENEMIES! Encounter your favorite characters as never before, from Shrek as a “real ogre” to Fiona as leader of the Ogre Resistance to the down-and-out Donkey (and there’s even more of Puss In Boots to love)! • 3 BONUS MINI-GAMES! Shooting Star, Do-As-I-Do-Not-As-I-Say and Slingin’ Arrows. • UNLOCK YOUR INNER OGRE-ACHIEVER! Earn 14 different achievements and connect to Gameloft Live to show to your friends. • iPod LIBRARY ACCESS! 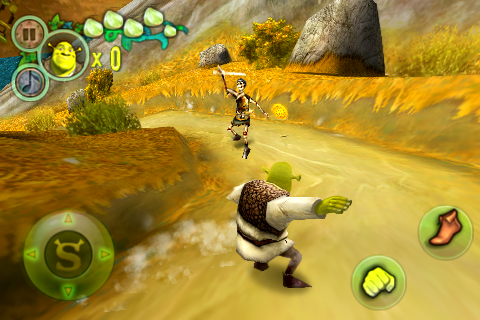 Rock out ogre and ogre again to your favorite tunes while conquering the kingdom.